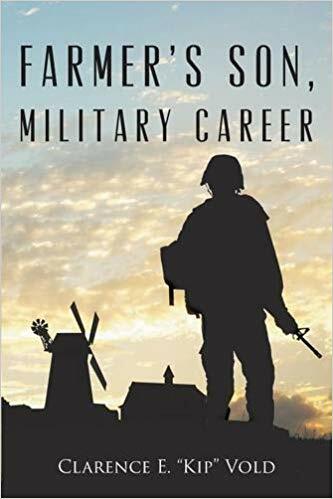 “Farmer’s Son, Military Career” gains invaluable remarks that prove his book to be a worthy and inspiring read among audiences from different walks of life. His memoir carries a lot of inspiring experiences and encouraging thoughts that it received numerous praises from different professional book review publications. In his memoir, Clarence E. “Kip” Vold shares his incredible journey from his childhood to his colorful career in the military. He also honors his Norwegian roots and family history to show readers of the value and importance of family in every person’s journey. Through the experiences he shares, he wishes to impart wisdom and encouragement to every reader through their ups and downs in life. His memoir carries a lot of inspiring experiences and encouraging thoughts that it received numerous praises from different professional book review publications. Pacific Book Review’s Anthony Avina sees his novel as one of the most in-depth memoirs that he has ever read. He says: “This is a unique and heartfelt story of a man’s life and the journey to get to the point of writing this book, to begin with. Stories like this are always fascinating as it allows readers to feel more connected not only with the author but with people in general.” His review also emphasizes how he did a marvelous job of bringing in his audience to his story and allows them to be more connected with the world. On the other hand, U.S. Book Review’s Donna Ford regards Vold’s approach in writing his memoir with “the super-organized mind of an aircraft scheduler but with the artist’s ability to paint with words.” She also mentions Vold’s ability to share wisdom, witticisms, and his secret for keeping calm. Indeed, these stellar commendations prove that his memoir is truly out to inspire the hearts and minds of every reader. The lessons and wisdom that readers will discover at every turn of the page show that his memoir is definitely worth checking out. “Farmer’s Son, Military Career” is available on Amazon: https://www.amazon.com/Farmers-Military-Career-Clarence-Vold/dp/1634178610/. More information about the author, his inspiring memoir, his upcoming events, and his contact information are available through his official website: http://www.clarencevoldbooks.com/.